The following ministries in Israel are spreading the Good News in the Holy Land by ministering to both the physical and spiritual needs of the people. 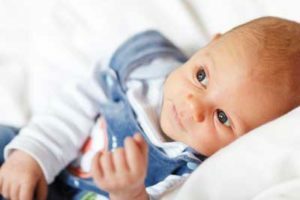 An estimated 40,000 to 50,000 babies are aborted each year in Israel. Be’ad Chaim has counselors stationed in key cities around Israel, as well as a 24-hour hotline that connects women in need with a counselor. 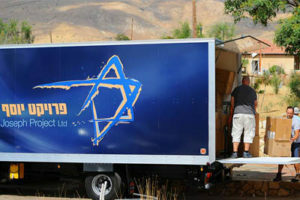 Be’ad Chaim also functions as a distribution center, training center, and meeting place for moms who took part in ‘Operation Moses’ (considered an abortion, but kept the baby). 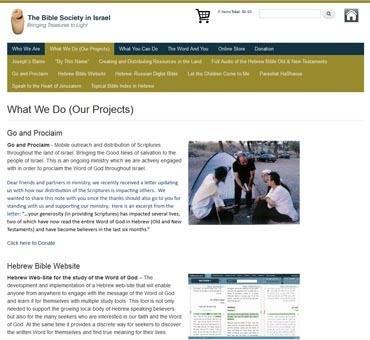 The vision of the Bible Society of Israel is to speak to the heart of Jerusalem. 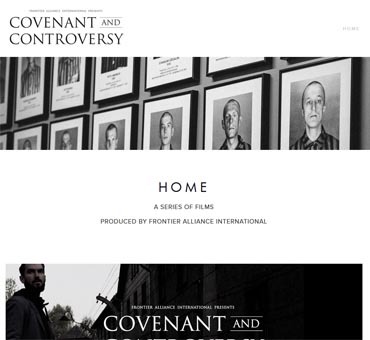 Covenant and Controversy is a series of films that explore the “history and theology of the enduring controversy over the Jewish people, the Land of Israel, and the city of Jerusalem”. The first film in the series, The Great Rage, was released October 2015 and is now available for stream and download for free at covenantandcontroversy.com. 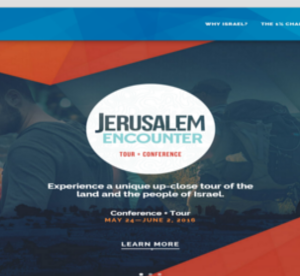 The Fellowship of Israel Related Ministries (FIRM) is an international fellowship of believers “committed to cultivating Messiah-centered relationships that bless the inhabitants of Israel—Jews, Arabs, and others—and the Jewish community around the world”. 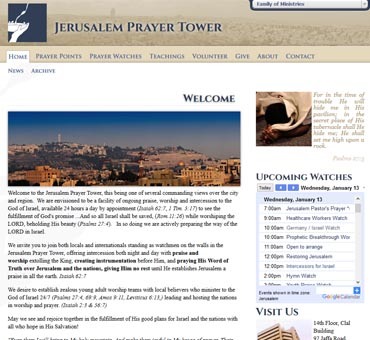 The Jerusalem Prayer Tower’s vision is to provide a place for continual praise, worship, and intercession. The tower is available 24/7 to witness the fulfillment of God’s promise in Romans 11:26, “and so all Israel shall be saved”. Visitors are invited to stand as watchmen on the walls, “offering intercession both night and day with praise and worship extolling the King, creating instrumentation before Him, and praying His Word of Truth over Jerusalem and the nations, giving Him no rest until He establishes Jerusalem a praise in all the earth”. 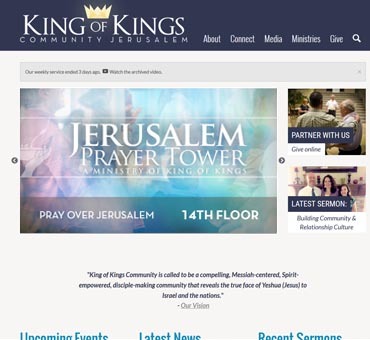 The vision of the King of Kings Community based in Jerusalem is “to be a compelling, Messiah-centered, Spirit-empowered, disciple-making community revealing the true face of Yeshua (Jesus) to Israel and the nations”. The ministry began in 1983 as a home Bible study and fellowship group, but has since expanded to include a Messianic congregation, prayer tower, family counseling center, Christian film school, as well as a Messianic school of music and arts. 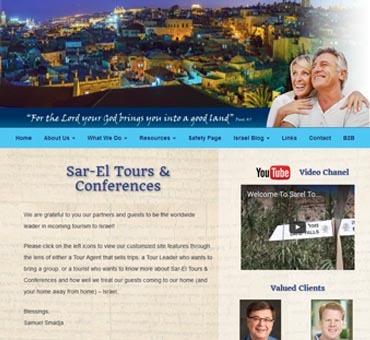 Sar El Tours provides tours of Israel so you can “connect to what God has for you in Israel”. 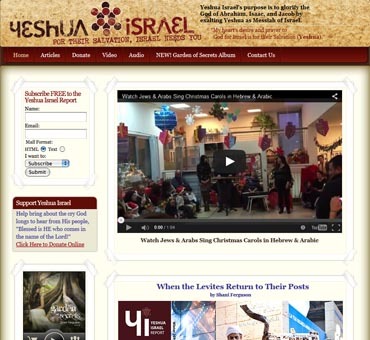 The vision of Song of Israel is to use music as a “vehicle of the God’s love for His people”. Through the ministry of Song of Israel, the Spirit of God is moving mightily, raising true disciples, equipping the people of God for His glory and their destiny, ministering healing and love, joy and freedom in His Spirit. 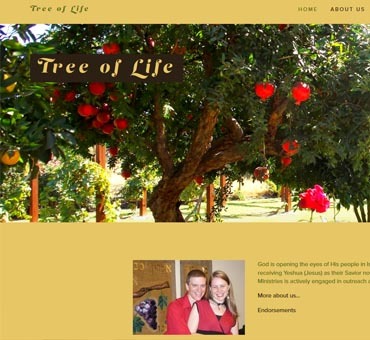 Tree of Life Ministries shares the Gospel with Israelis through booklets, videos, street evangelism, and special outreach events. The vision of the ministry is to equip the “Body of Messiah in Israel through worship training, evangelism training, children’s ministry, and discipleship”. 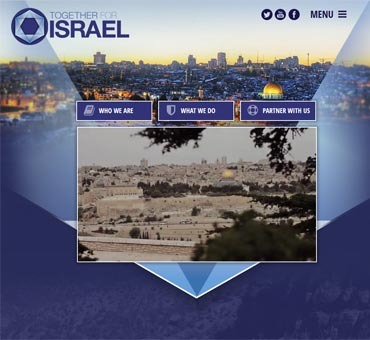 Together for Israel was established to support those laboring in the land of Israel. 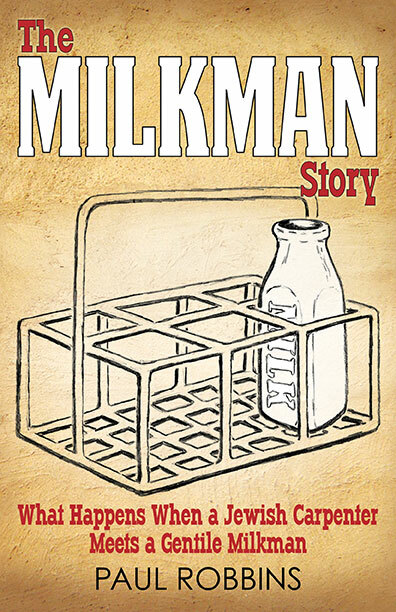 Learn to speak and understand some Biblical Hebrew in a fun, easy, and inspiring way. Each of The Word in Hebrew’s products is prayerfully created by a native Hebrew speaker from Israel and includes complete and accurate transliteration and translation into English. 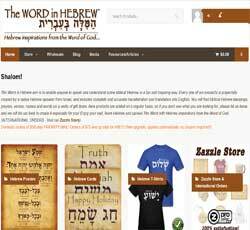 You will find Biblical Hebrew blessings, prayers, verses, names, and words, as well as a variety of gift items. Yeshua Israel’s vision is to be a light in Israel, so Israel will be a light to the nations. To accomplish this goal, the ministry works to “serve, equip, and empower individuals and families in Israel and abroad to reach their God-given purpose”.